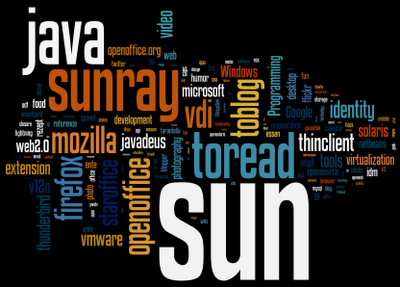 Wordle is a cool online tool to create really beautiful word clouds out of a given ... eh .. dictionary, if you will, or list of words, actually. The more frequent a word is (in this list) the larger it will be represented of course. 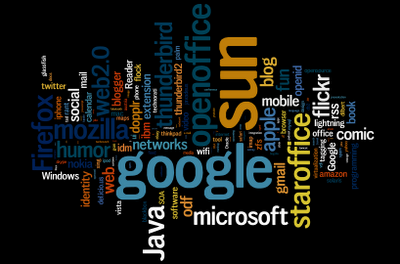 Wordle can also go directory to a del.icio.us accunt and pick the tags as input from there.